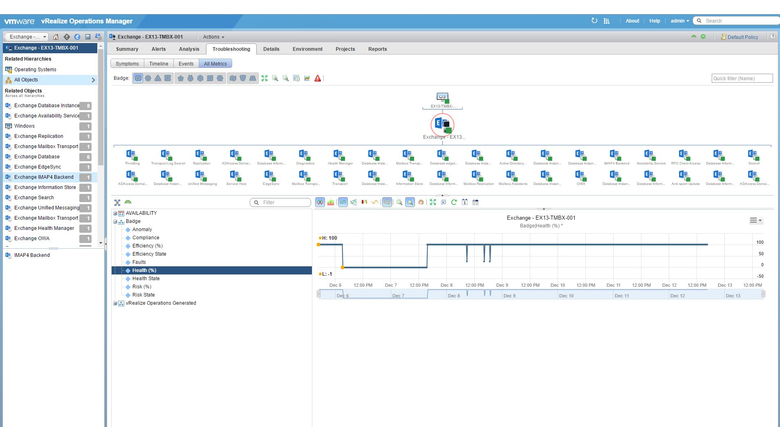 VMware is working hard to provide more and more application management plugins for vRealize Operations. In previous versions vRealize Hyperic was used to perform application monitoring, with the newer versions of vRealize Operations this is done using the EndPoint Operations agent (EPOPS agent). Application specific intelligence is added using management packs. 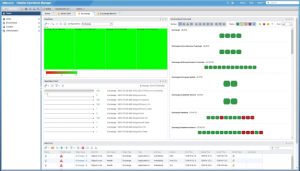 To monitor Microsoft Exchange you can now use the new vRealize Operations Solution for Microsoft Exchange. 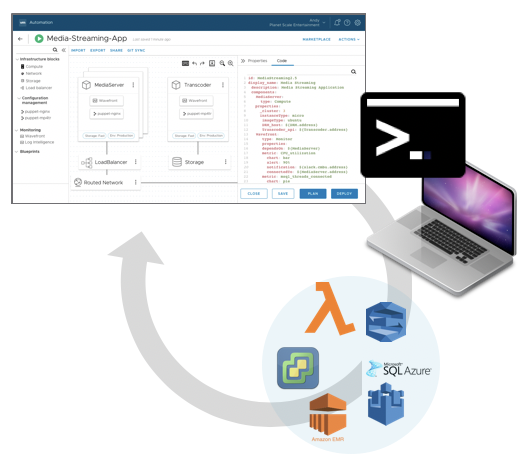 The vRealize Operations Solution for Microsoft Exchange is a management pack which provides visibility into your Microsoft Exchange deployments. Pre-defined dashboards allow you to see the status and the relationships between the different components of Microsoft Exchange. 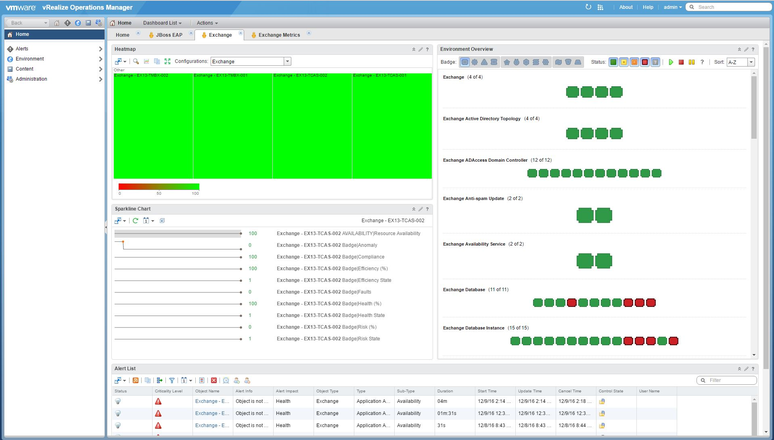 The vRealize Operations Manager solution for Microsoft Exchange server can support Microsoft Exchange server 2007, 2010, 2013 and 2016 using End Point Operations Manager agents and collects specific metrics on the servers hereby proactively monitoring and assessing components’ availability for Microsoft Exchange server. 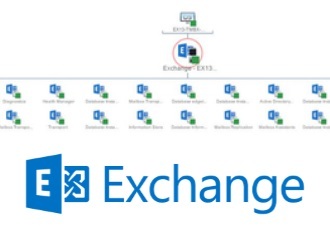 If you monitor Microsoft Exchange using this solution you ensure hat your Microsoft Exchange servers are meeting the requirements for stable operation by monitoring metrics such as connection usage, resident memory size, database size and more. 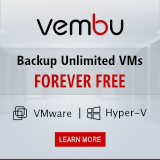 Auto-Discover your MS Exchange servers. Obtain specific metrics on MS Exchange servers. Exchange ADAccess Domain Controller service. Exchange Active Directory Topology service. Exchange Mailbox Transport Delivery service. Exchange Mailbox Transport Submission service. Exchange RPC Client Access service. 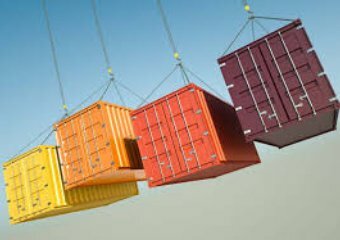 Exchange Transport Log Search service. Exchange Unified Messaging Call Router service. 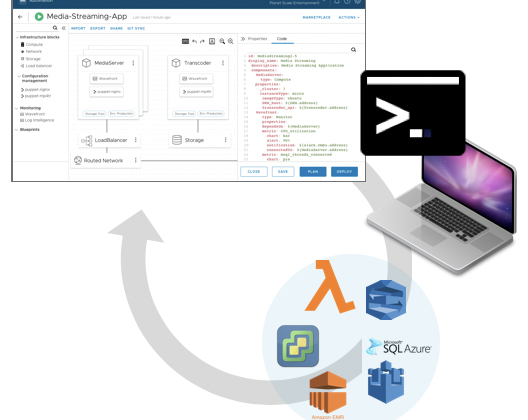 Hello my name is VMware Cloud Assembly!